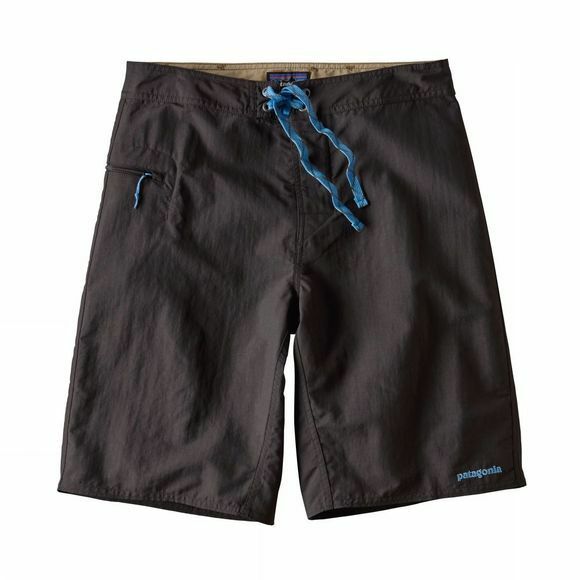 A Patagonia classic, the Men's Wavefarer Board Shorts are the foundation of their board short collection. Made of quick-drying nylon (38% recycled) with a DWR finish and 50+ UPF sun protection, they’re the ultimate go-anywhere, do-anything surf trunks. Features include a forward inseam to help eliminate chafing, while a handy zipped pocket doubles up as a stuff sack for the short, with an internal key loop and self-draining capability. Ideal for a long day on the surf.